I didn’t get much information about this gorgeous girl so I am letting each picture of her speak 1,000 words. 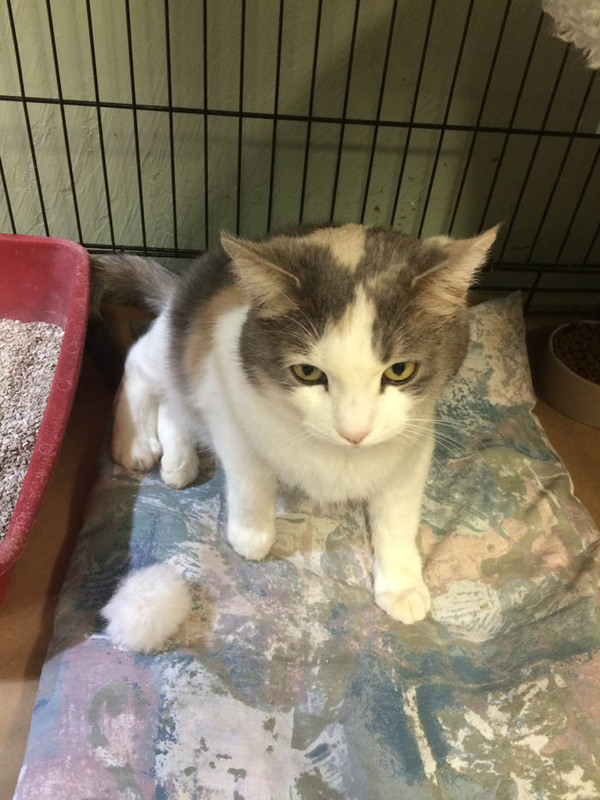 Phoebe is available for adoption from A-Pal Humane Society in Jackson, CA. Contact them at 209-223-0410. 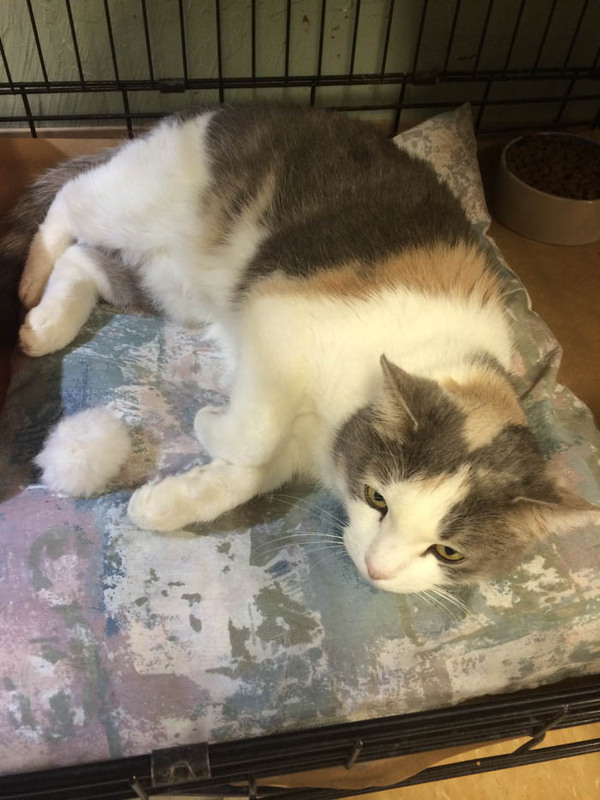 Phoebe is a 6-year-old dilute calico. She was turned in at the animal shelter as a stray so we do not know much about her other than she is very sweet. Here’s another picture worth a thousand words. 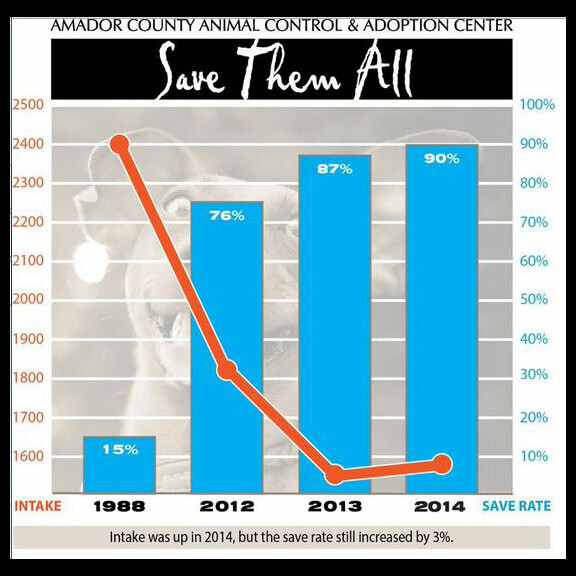 Through the hard work and dedication of Amador County Animal Control and Adoption Center‘s staff and volunteers, A-PAL Humane Society‘s volunteers, Twin Cedar K9, and the good folks of our amazing little community, we proudly share Amador County’s 90% save rate! I think you have to agree with me that those are amazing statistics. I’m sure their aggressive spay/neuter and community cats programs are largely responsible for the huge dip in intake animals. They were disappointed with the increase in intake for 2014 in spite of these aggressive programs but still improved their overall save rate. If you would like to help A-Pal continue to make a difference, you can make a donation through their website. They also have a Zazzle store with lots of cute stuff. Select them as your charity at Amazon Smile by clicking the following link http://smile.amazon.com/ch/94-2462789. If you have a local animal charity you support, or would like to begin supporting, I challenge you to do something special for them in the next 30 days. If you accept my challenge, I’d love to hear what you plan to do in the comments. I will be doing a comment-a-thon for my blogoversary (whew, I’ll barely make the 30 days!) and making a donation to A-Pal. Tagged A-Pal Humane Society, adoption, available for adoption, cat, rescue, volunteer. Bookmark the permalink. Thiss iss Phoebe iss adorabull…wee wishes onlee thee best fur her inn findin a new home! Wee doe-nate food to Feral Kat group efurry month AN LadyMum iss doin her furendlee vizitin fur Siamesess an Himalayanss inn our low-cal Shelter who need sum xtra attenshun an support! Wow, your ladymum does a lot to help kitties in need! Phoebe is beautiful! The Mom’s childhood cat’s name was Phoebe – very cute name. And we have to say, we are partial to dilute calicos or torties. We had never seen one before Sophie. They are very beautiful. 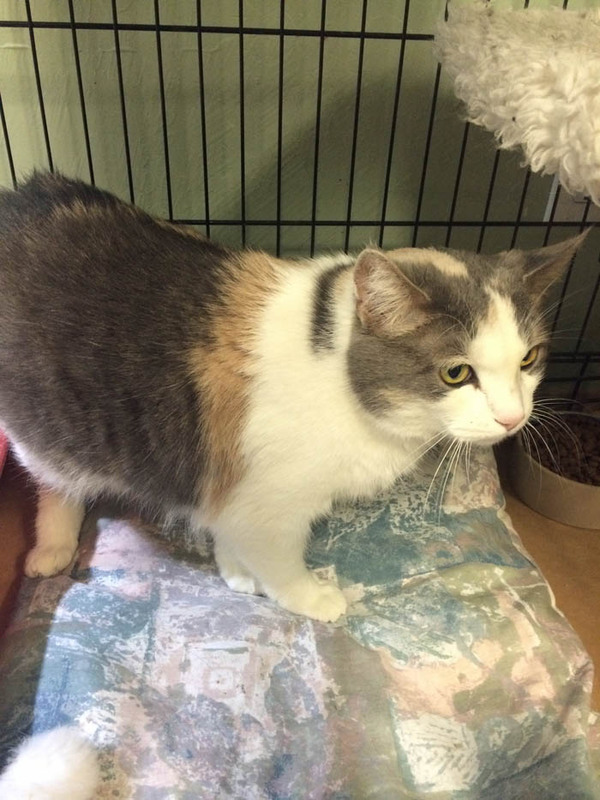 Here’s to hoping Phoebe finds her furever home very soon! Gweat posty. Weez sharin’ and purrayin’ she gets a pawsum home soon. Have a gweat weekend. Oh, that’s wonderful, Tuna! Happy almost gotcha day to you and Sauce! Phoebe is gorgeous and wes impressed with A Paws! They is doing great work! We ccept the challenge! We’re putting our thinking caps on. Phoebe is a beauty. She deserves a forever home. That’s great! Would love to hear what you do. I want her!!! I have a Phoebe, she looks like Lucy. I wish I could adopt her.